end of the day. You are you own farmer for your bowl of wealth. 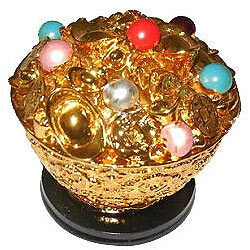 It is say that by placing the bowl of wealth, it brings in wealth and prosperity to where ever you place it. You can use a big, medium or small bowl of wealth in almost anywhere, for instance, your purse.